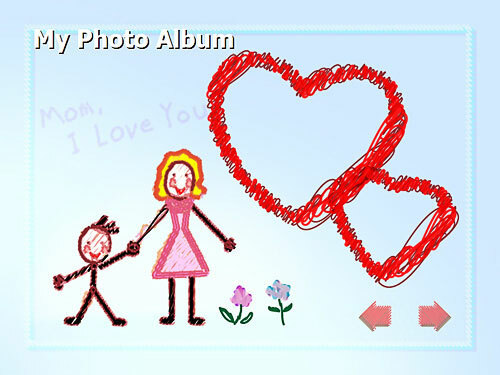 Digital Photo Slide Show Software for Any Occasion! 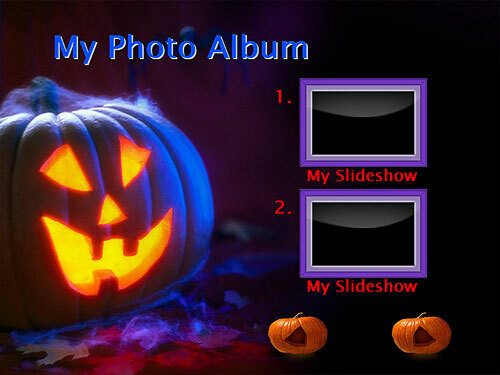 DVD Photo Slideshow is a photo slideshow maker that you can use to create cool slide shows with your digital pictures. It allows you to create entertaining photo slideshows you can watch on TV, create SWF Flash slideshow perfect for posting online to your website, generate MPEG video files for mobile devices such as Apple iPod, Sony PSP, cellular phone, build photo slideshow video ready for upload to YouTube, MySpace. Within a few minutes of work, you'll have an eye-catching slide show with DVD, SVCD, VCD 2.0, MPEG, MPEG-4, FLV, SWF Flash as output formats. With DVD Photo Slideshow, thousands of pictures from holidays, landscapes, wedding or family parties can now be enjoyed on TV, PC or website as high resolution DVD slide show, Flash slideshow, MPEG video files. The program�s simplified three-step workflow enables users of all levels to build custom slide shows, design on-screen menus, and burn discs for sharing at home, generate MPEG video or Flash slideshow. DVD Photo Slideshow gives photography lovers or photo collectors a new and easy way to view, store and share their pictures from digital camera, scanner or Internet. 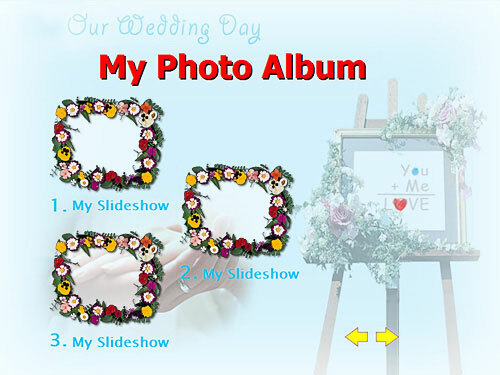 With just a few clicks, you can use DVD Photo Slideshow to view and edit photo, create and organize your photo album, add background music, burn your photo album on blank DVD+R/RW, DVD-R/RW, CD-R or CD-RW disc or just generate Flash photo slideshow or MPEG/MPEG-4 video files. After that, you can show your creative works on TV, PC, website, YouTune, MySpace and more. DVD Photo Slide Show can also archive your original photo files in DVD or CD disc so that you can print or process them in the future. Create photo video CD or DVD that play back on your TV with DVD player. Generate MPEG video files for PC viewing. Generate MPEG-4 format files for mobile devices such as Apple iPod, Sony PSP, cellular phone and PDA. 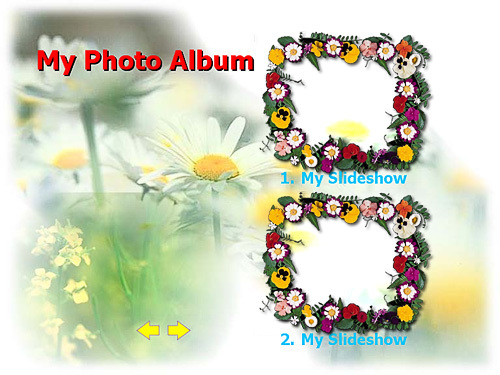 Build photo slideshow video ready for upload to your YouTube, MySpace. 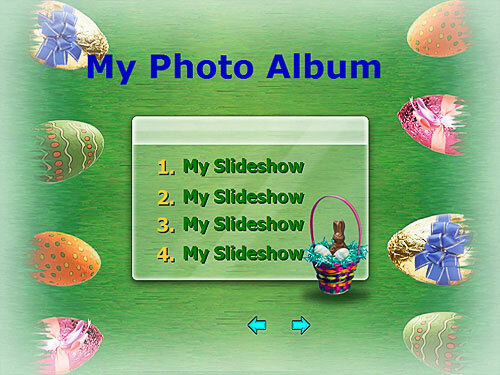 Create SWF Flash slideshow, perfect for e-mailing or posting online to your website. DVD Photo Slideshow does it all! The slideshow movies can be burned to DVD, Blu-ray Disc, VCD 2.0 (Still image) or SVCD and exported to HD videos. Photo DVD Maker supports both NTSC and PAL TV systems. 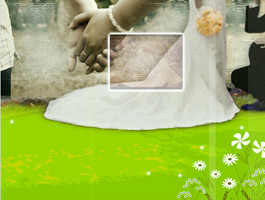 The slideshow movie can also be saved to computer hard drive in FLV, MPEG-1, MPEG-2, MP4, AVI or Divx AVI video format. The latest version supports AVC H.264 with 720P resolution. The latest version can also burn photo slideshows to AVCHD disc. 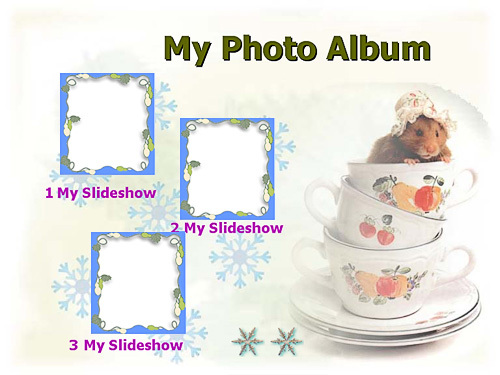 Want to insert the flash slideshow to website? 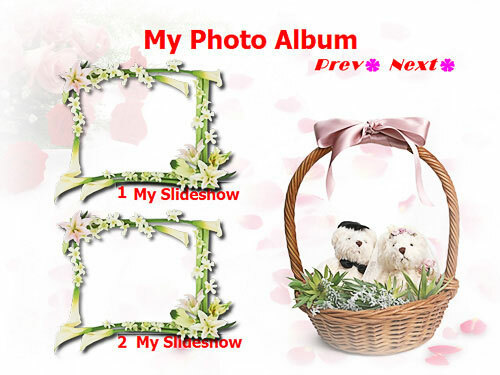 Use our Photo Slideshow Maker, it's easy and fun!